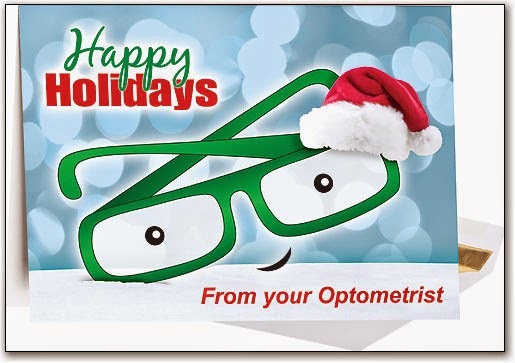 Happy Holidays from Dr. Andrew Neukirch and Carillon Vision Care! It is difficult to believe that I will be celebrating my 4th anniversary with Carillon Vision Care this next month. The time has gone by so quickly. I would like to genuinely thank everyone for continuing to help our practice grow. I am excited as I have even more plans going forward into 2015. We are presently evaluating more designer frame lines, waiting for some new exciting medical technologies to gain FDA approval, and we are considering transitioning in another full-time doctor allowing extended doctor hours to serve you better. I wanted to start this letter, first and foremost, by congratulating our very own Dr. Agrest who recently received a “50 Year Membership Award” in front of hundreds of our professional colleagues at the Illinois Optometric Association’s annual meeting in Springfield. As you know, Dr. Agrest opened Carillon Vision Care’s doors over 56 years ago with the mission of providing the highest quality eye care to his patients, and he is so deserving of this recognition! I am also pleased to announce two new, friendly faces that you may see around Carillon. 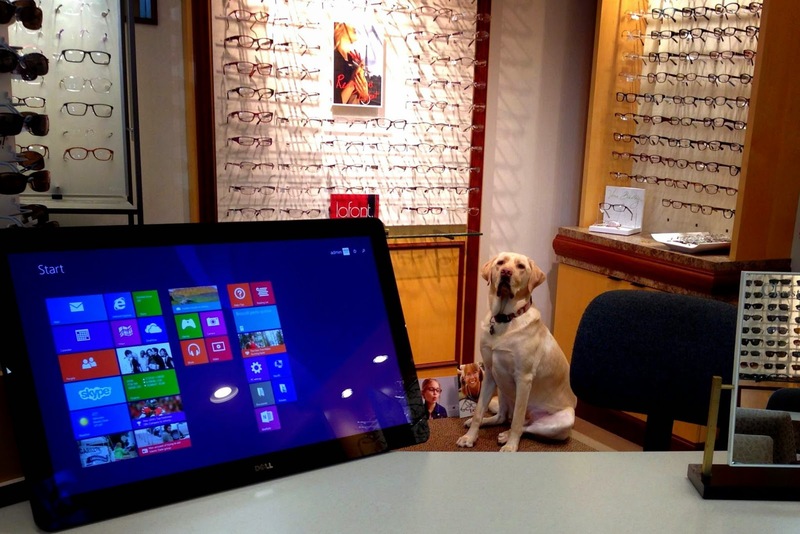 Vanessa is a full-time, licensed Optician with more than 10 years experience. 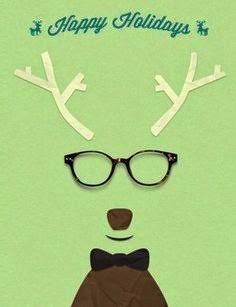 She has a uniquely talented eye for finding patients the perfect frames! I would also like to welcome Dr. Vince Brandys, a licensed Optometrist and Glenview local. In addition to his full-time faculty position at the Illinois College of Optometry in Chicago, Dr. Brandys is now available to see patients on Fridays and and some Saturdays at Carillon. The office also boasts new medical equipment, including a cutting edge Topcon Automated Phoropter (you know, the instrument where the doctor asks, “What’s better: 1 or 2?”), which enables faster and more accurate glasses prescriptions than ever before, and a new, 27-inch, touch-panel computer screen in the optical. The touch-screen allows our opticians the ability to display various color and size options for prospective eyewear, which we may not have in house at the time. It also gives patients with a new prescription the opportunity to “test out” their computer vision while wearing their new specs. Last but not least, I am so grateful for the opportunity to care for you and your families, and I sincerely appreciate all of the new referrals (of family, friends, and co-workers) that we received from current Carillon patients throughout the year. I, along with the Carillon staff, wish you and yours a wonderful holiday season and a happy start to 2015!